Falmouth on the South Cornwall coast is a fitting setting for this journey of discovery to begin. 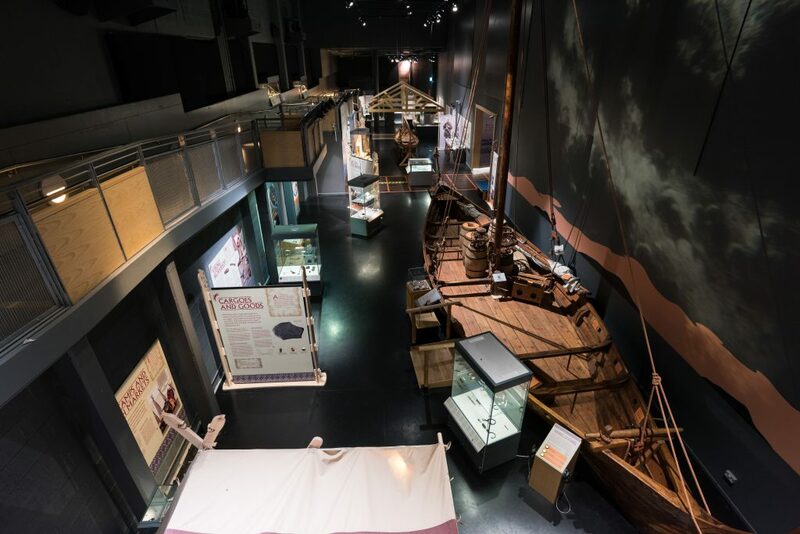 The museum is located on aptly named Discovery Quay, and is a vast, iconic building, home to exciting exhibitions and a wide range of galleries taking visitors on a journey through the overwhelming influence of the sea on history and culture. 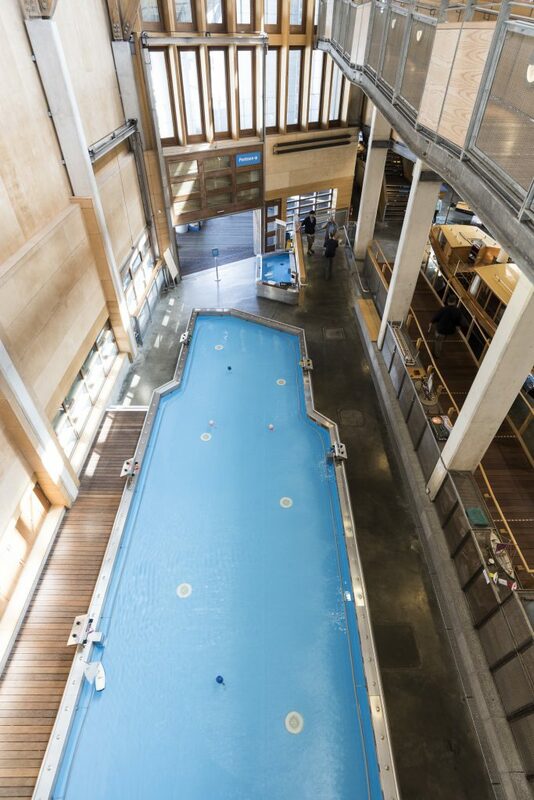 The iconic building was custom designed and built on land that was once covered in the sheds of boat builders. These sheds inspired the design of the building which is covered in green oak. 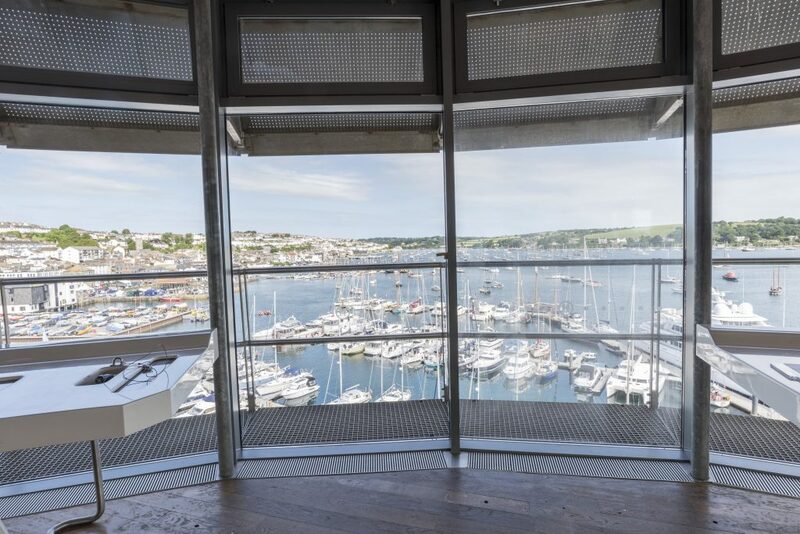 The building has the most fantastic, breathtaking views over Falmouth harbour. Your voyage of discovery begins in the Main Hall. Here you can orientate yourself in the building, admiring the hanging flotilla of small boats on display over your head. The variety of boats around the world is staggering. From earliest times people have built rafts and logboats using whatever material was available, and have powered them by muscle, wind or engine. They are shaped by the people who make and use them and are used for working, fishing, rescue, ceremony, transporting people and goods. Each boat reflects its heritage. At the heart of this display is the enormous Thames steam launch, Waterlily, a memory of an age of elegance, idleness and long, sunny, summer days. Dating from 1866, she was one of the earliest such pleasure craft on the Thames and helped set the trend for the Edwardian era that followed. Beyond, in the Survival Zone there are many craft and stories including our Jet Ski, our Life raft and Lifeboat. There’s also the Edna Mair, the tiny dinghy in which the Robertson family – five people and a friend – survived for 38 days in the Pacific after their yacht had been holed. This is one of the great ocean survival stories of modern times. 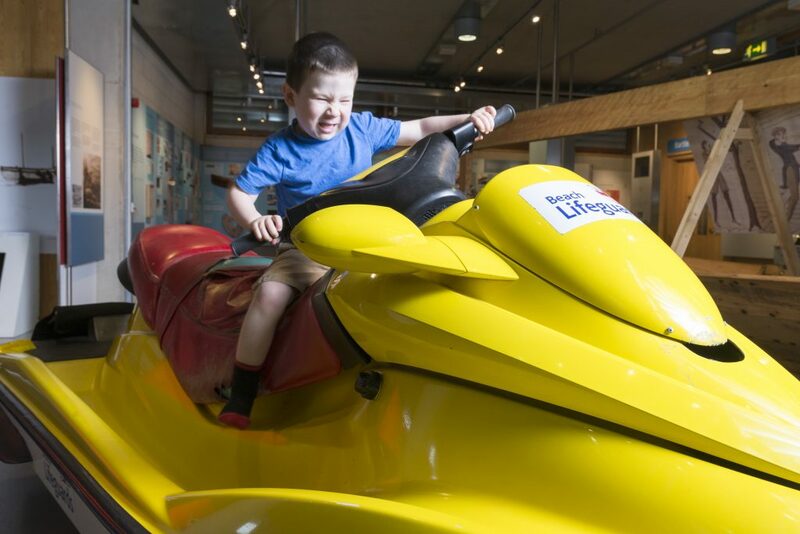 Image: James on The Jetski in the Survival Zone at The National Maritime Museum Cornwall. Photo by Paul Abbitt. 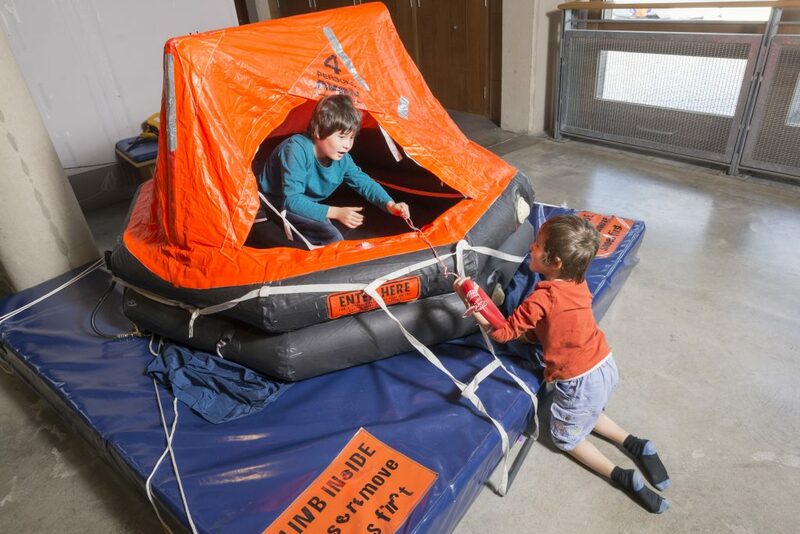 Image: Alfie and Noah on the Liferaft in the Survival Zone at The National Maritime Museum Cornwall. Photo by Paul Abbitt. 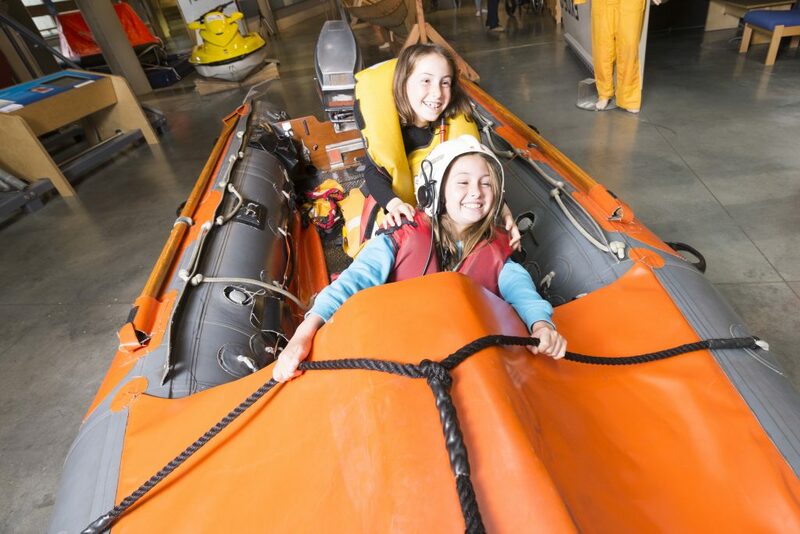 Image: Abi and Tia on the Lifeboat at The National Maritime Museum Cornwall in Falmouth. Photo by Paul Abbitt. 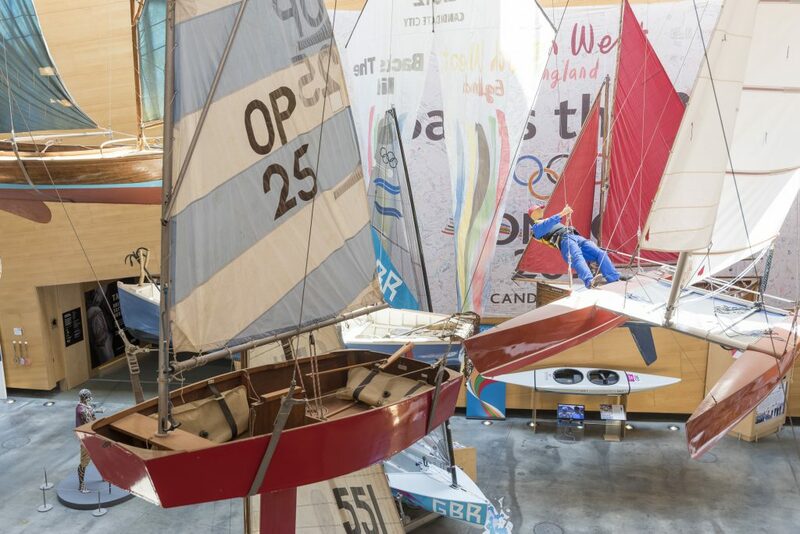 A living exhibit, at the far end of the Main Hall you can see shipwrights at work restoring and building boats in the museum’s Boat Building Workshop. The ambition is to become a respected centre for restoration, conservation and repair of historical vessels. 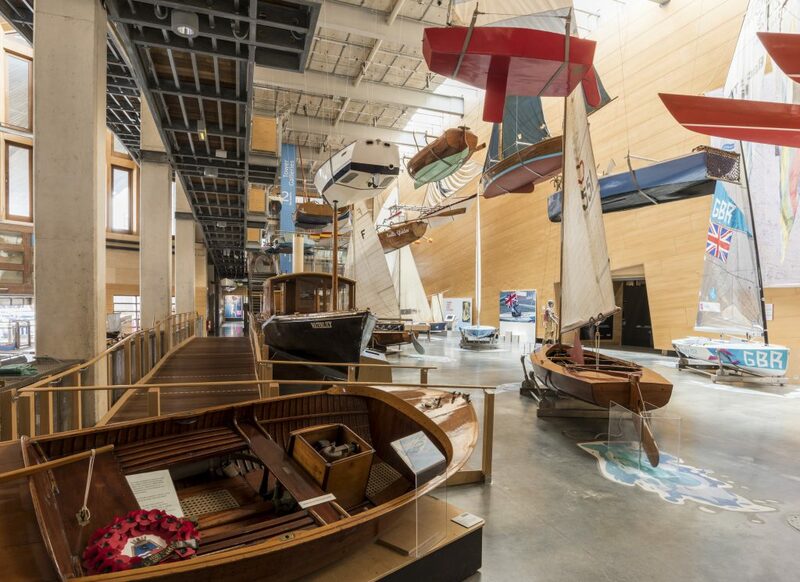 The workshop’s core responsibility is the maintenance and care of the nation’s small boat collection, but alongside that the museum is developing a reputation for keeping traditional boat-building skills alive. The Hold is our largest single exhibition space where we install our respected and renowned major exhibitions. 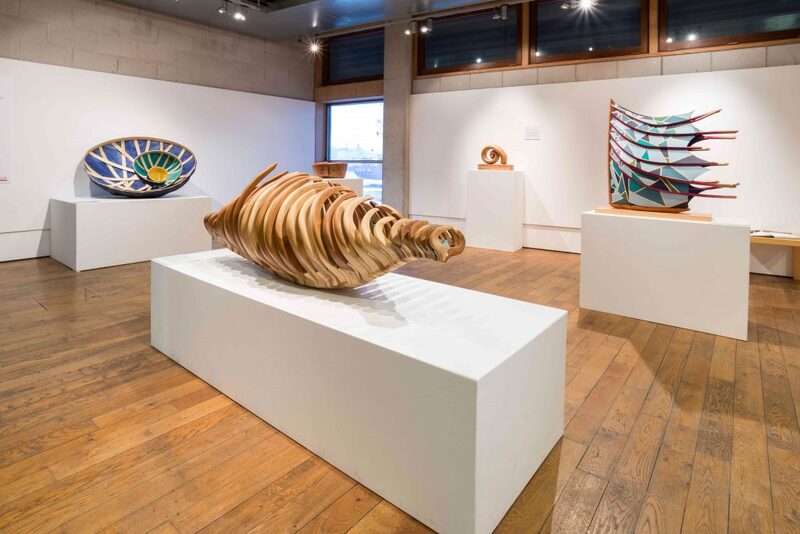 Our aim is to curate ambitious and unexpected exhibitions developing partnership projects with national and international museums, bringing new connections with world cultures to Cornwall, and bringing ancient artefacts from national and international collections. In 2018 our exhibition is Titanic Stories. 2017 our exhibitions were Tattoo: British Tattoo Art Revealed and Captain Bligh: Myth, Man and Mutiny. Our 2016 exhibition was Viking Voyagers. Flying across the top of the Main Hall is our flotilla of small boats from The National Small Boat collection, preserving a collection of international importance, craft used for survival, work, competition, leisure, pleasure, exploration and war… from the Inuit kayak, a deadly hunter’s tool of skin and driftwood with an unbroken pedigree stretching back 10,000 years to the Mirror dinghy, as much a part of the ’60s social revolution as the Mini car. The musuem doesn’t just tell the story of inanimate objects – it relates the tales of the lives and the times of those who made and used them. 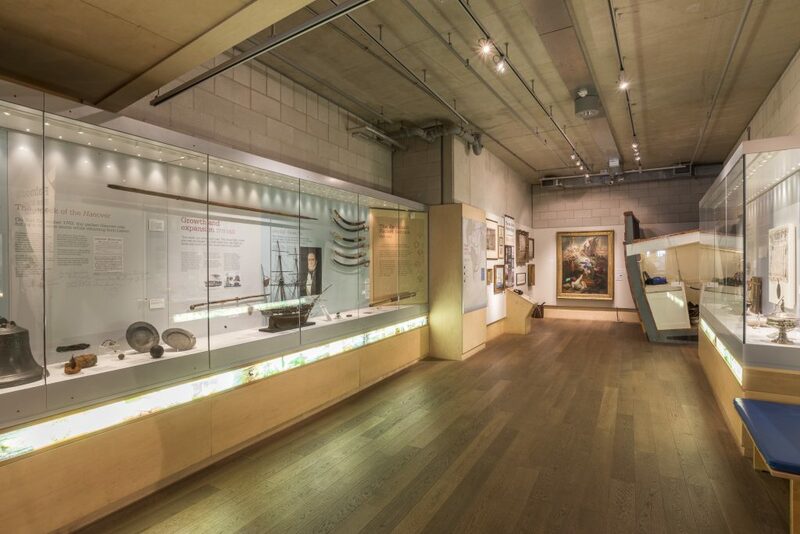 In these galleries Cornwall’s unique maritime heritage can be explored over three floors, each focusing on different aspects of industry, work and communications. Falmouth is the world’s third largest natural deep-water harbour and a sheltered haven for large ships. It was once the maritime hub of an Empire, so internationally important that in the 1880s 25 countries had consular representatives here. Explore the maritime history of Britain’s first and last port of call: from the Packet ships of the late 17th century to the heyday of Falmouth’s port in the 19th century and right up to the present day with the record breaking achievements of Sir Robin Knox-Johnston and Dame Ellen MacArthur. Stepping into our Falmouth gallery is like stepping back in time. Falmouth’s incredible history is celebrated through objects, journals, listening posts, interpretation, photographs and interactive displays. Nowhere in Cornwall is more than 17 miles from the sea. This proximity has shaped both the landscape and its people. 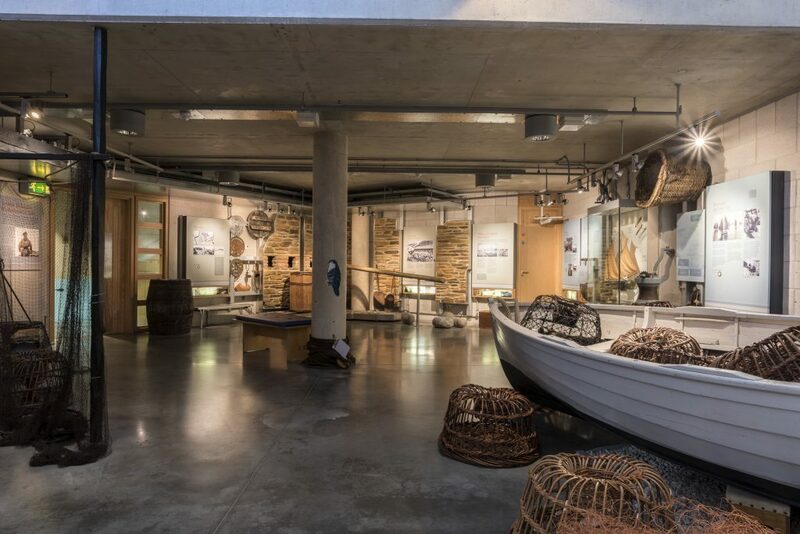 In this gallery you can discover how Cornish people have made a living from the sea, how local craft were built and who sailed in them. Exhibits explore Falmouth’s role in global communication and trade, along with the development of Cornwall’s migratory links around the world. Witness the stories of dramatic rescues off the Cornish coast. 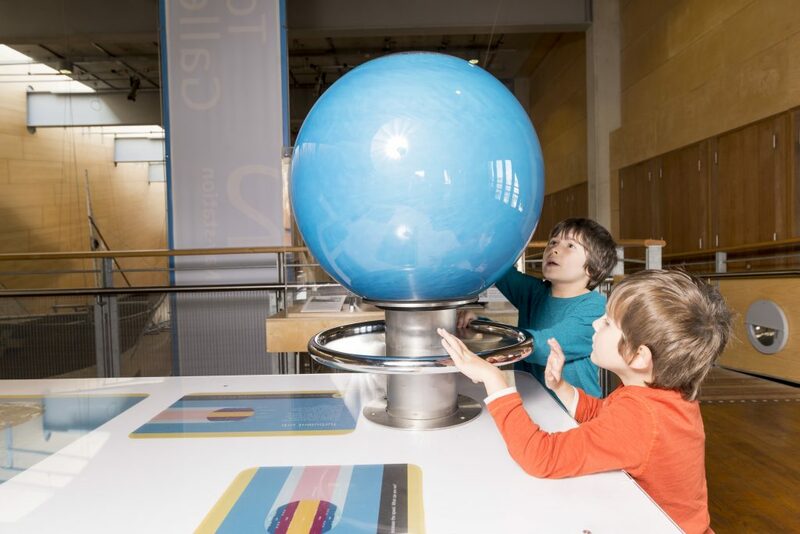 Enjoy an exhibition full of interactive and story-telling displays. Listen to tales of the lives of Cornish fishermen in their own words. Find out how sails were traditionally made and explore how pilchards were pressed in our reconstruction of a pilchard cellar. 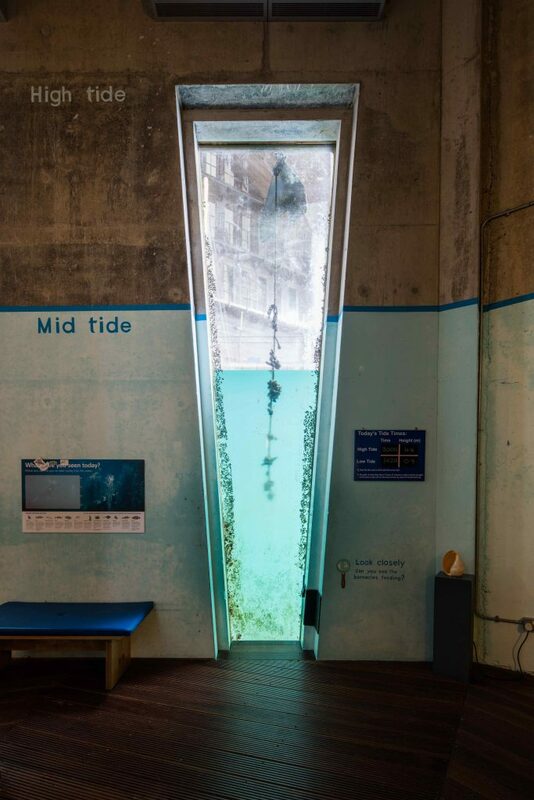 In the Tidal Zone you can go underwater and look out into the harbour through two large windows – if you stand there long enough you’ll see the tide rise and fall. Take a really close look and you could catch a glimpse of a cormorant diving after a fish, crabs, shrimps and much more. Here you can learn more about the effects of the Moon and Sun and what causes the tides. 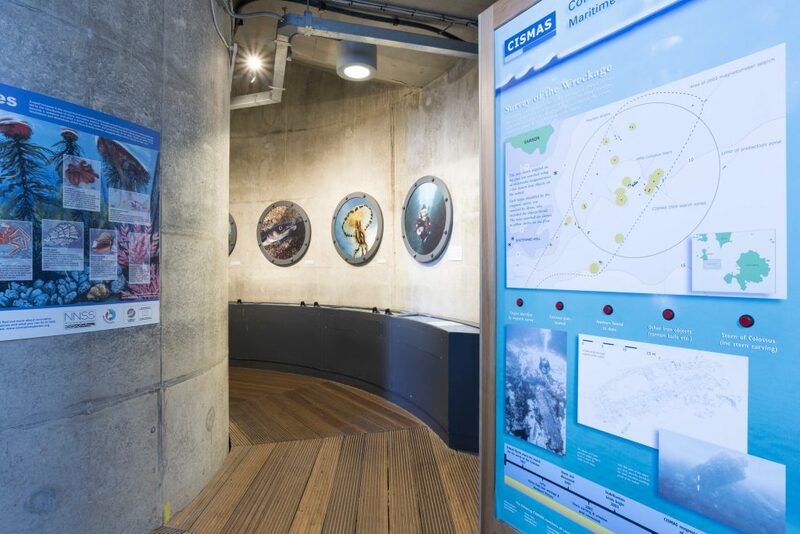 Interactive displays also introduce some of the animals and plants that live in the estuary, a Special Conservation Area with a wide diversity of species. 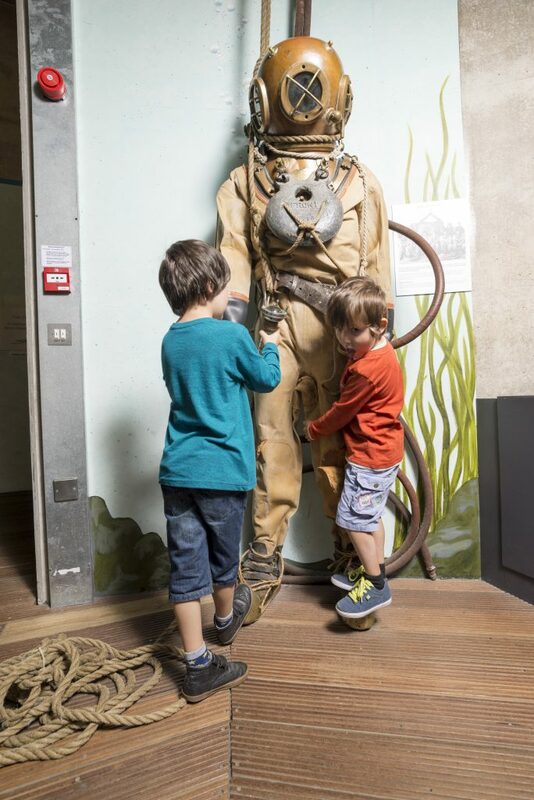 Image: Alfie and Noah with The Diver in The Tidal Zone. Climb to the top of the tower for breath taking views over the harbour, docks and estuary. Find out about historic buildings, local landmarks, coastal features, and special events and vessels in the harbour. Look north across the water toward the village of Flushing, former home of Packet Ship captains, or inland to the west and Custom House Quay where the customs used to land contraband goods seized from ships. 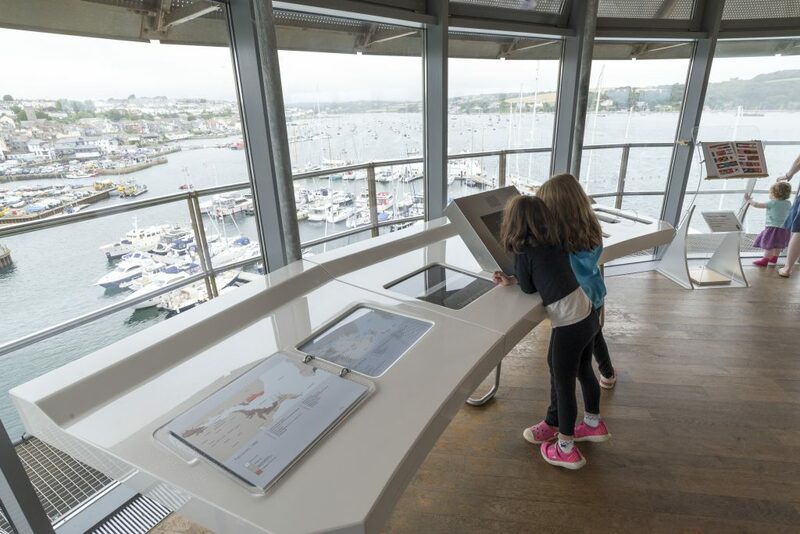 There are binoculars and telescopes for you to use, and a series of maps so you can build up the history of the harbour and its surroundings. Image: The view from The Look Out Tower over Falmouth. Photo by Paul Abbitt. The learning space for our schools’ workshops during term time and children’s activities during the school holidays. It is also home to a Temporary Exhibition space. Gain an insight into the art of navigation and meteorology. An understanding of weather and navigation are essential to finding your way at sea. What do sailors need to know about the weather and navigation? Can you steer a boat through a narrow channel? How are charts made and how do you use them? 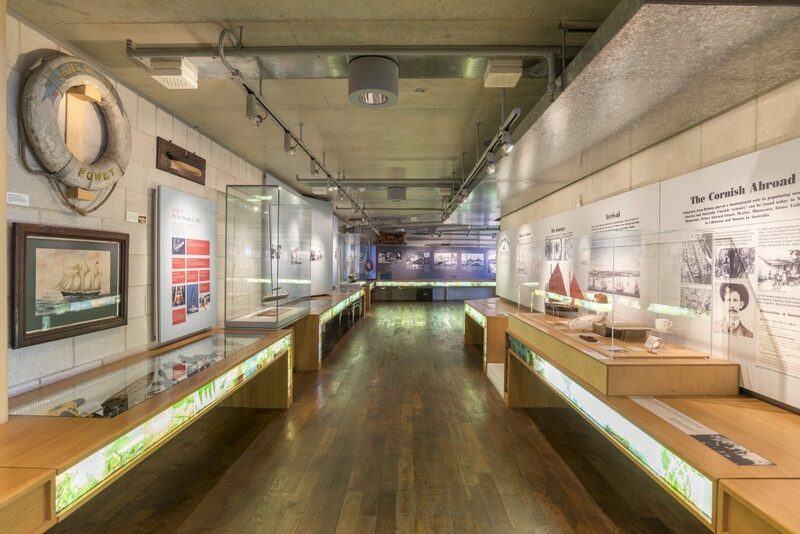 This gallery is full of interactive exhibits that give you an insight into the art of navigation and meteorology. The Nav Station has been designed as a take on a modern ship’s bridge. Experience even more of the sea on the Pontoon directly in front of the building. From here you can view the boats on the water. Fitted with the latest audio-visual technology and an induction loop for hearing aid users this is where we hold our insipring talks, presentations, conferences and films. 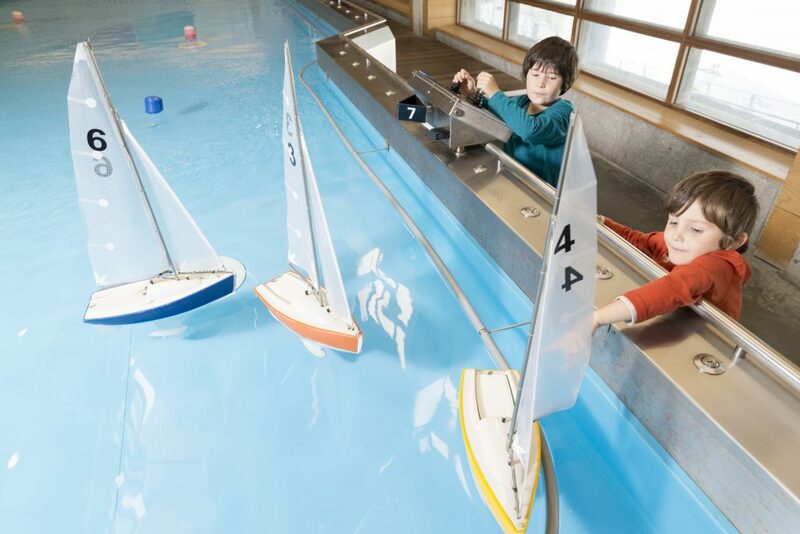 Sail model boats and even have a race. Image: Alfie and Noah at the boat pool.